I was thrilled to be able to attend Beyond Celiac’s “Bold Beyond” symposium at Drexel University earlier this month. 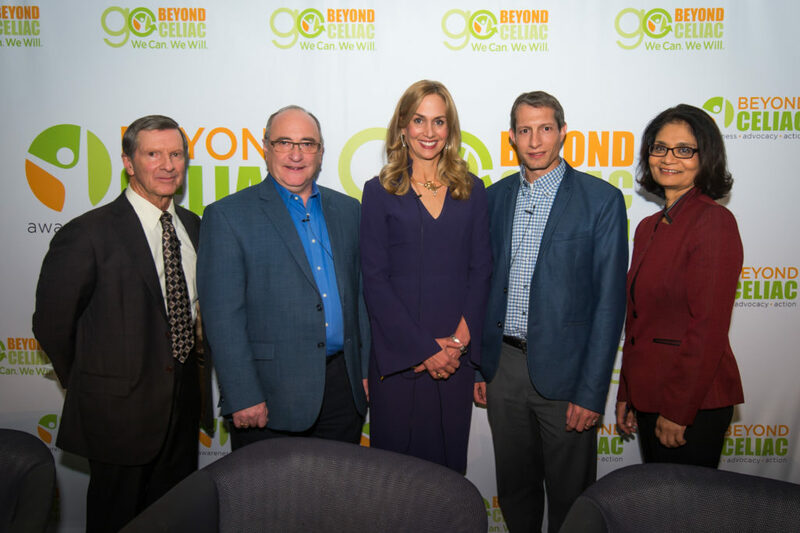 With an all-star physician-researcher panel and moderating by Beyond Celiac CEO Alice Bast, the evening was a major wake-up call: For so long, I’ve become blasé about the fact that my strict gluten-free diet is the only treatment for celiac. After that first year of transitional growing pains, I eased into my new normal, and found myself grateful that at least there is a known way to manage the disease. But the panel highlighted just how much of a toll the diet actually takes on the lives of those in the celiac community—socially, emotionally and physically. Inconveniences and insecurities aside, 30 percent of celiac patients on the gluten-free diet show no improvement. And in a world where we’re all constantly eating on the go and often at the mercy of other food handlers, even the most diligent of us can’t confidently say we’re 100 percent gluten free—we’re just as gluten free as humanly possible. Sign up for Go Beyond Celiac at go.beyondceliac.org. It’s an online community where people with celiac share their stories and experiences—and, in turn, advance celiac research. Currently, celiac receives the least government research funding of all gastrointestinal and autoimmune diseases. But it doesn’t have to be this way. The Beyond Celiac team has an extensive network of doctors, researchers and patient advocates with whom they regularly communicate—and who can be our collective voice for the need for further research. Speak up to your doctors about the toll celiac actually takes on your life. So often, celiac patients don’t feel entitled to share their hardships—but suppressing those concerns stifles the chance for further research. When you speak up to your physicians, you help increase the likelihood that your struggles are conveyed to the research community, which in turn seeks out the necessary funding for research. Participate in clinical trials. Visit Beyond Celiac’s clinical trials finder to see which studies are available near you. And in the future, the Go Beyond Celiac platform will include a registry component to help connect patients with researchers.